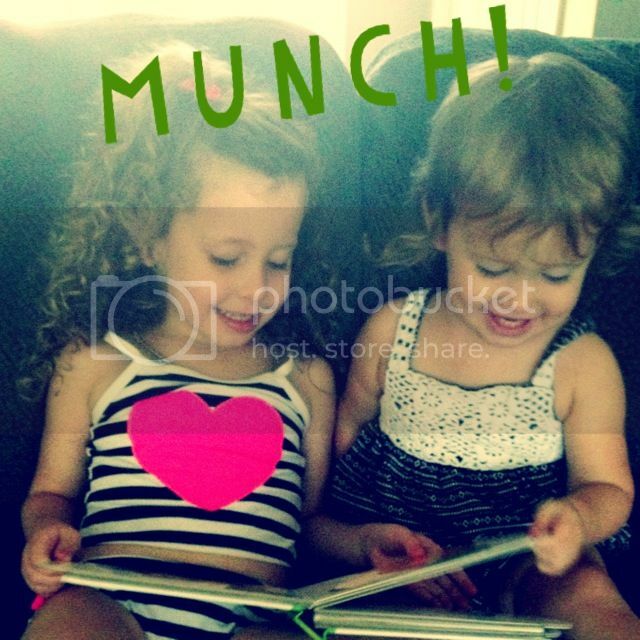 I just wanted to share a few pics of Izzy and Milly reading Munch!- you can tell I didn't stage the pictures- because Izzy is wearing a swimsuit (I would have chosen a cute little dress or something!) 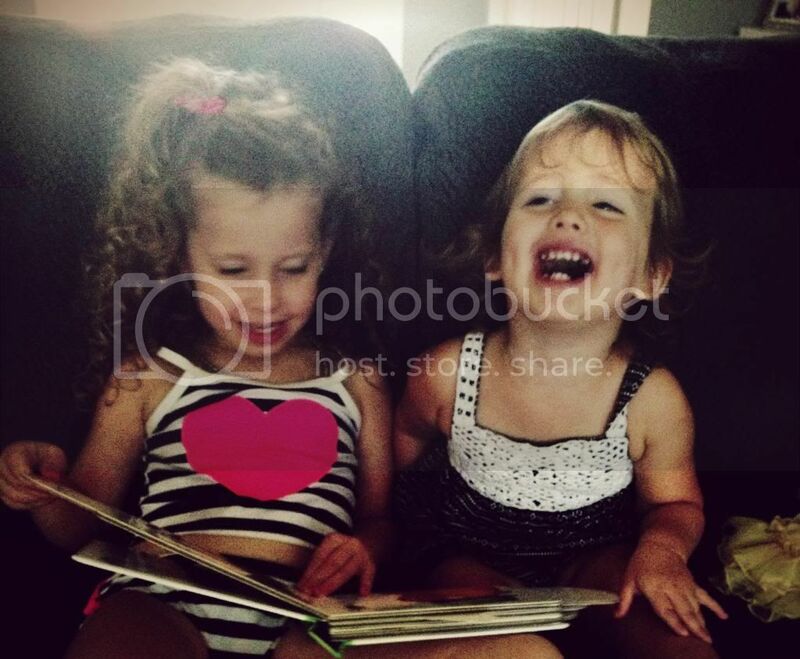 and the lighting is HORRIBLE :), however it shows you how much fun they were having reading this darling book! Make sure to enter-to-win HERE or at the end of this post!!! 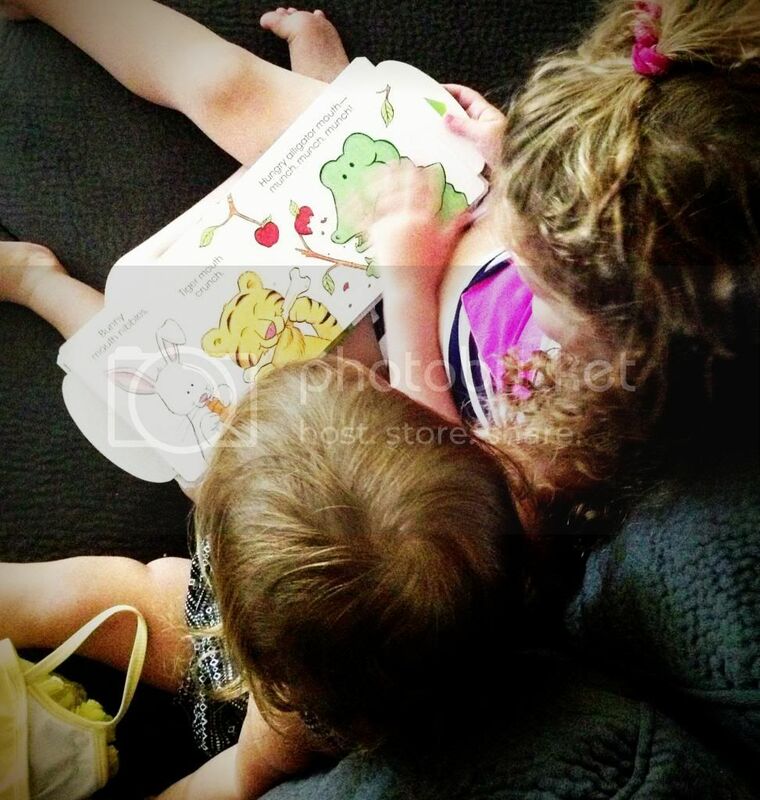 Such darling books!